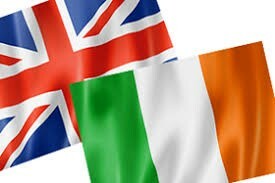 Comparing UK and Irish law: A special relationship? By Prof Paula Giliker, Professor of Comparative Law (University of Bristol Law School) and former President of the British Association of Comparative Law. The British Association of Comparative Law (BACL) held its annual seminar, jointly with the Irish Society of Comparative Law, at University College, Dublin on 5 September 2017. The joint seminar was chaired and organised by Professor Paula Giliker. To celebrate BACL’s first annual seminar in Ireland, the seminar reflected on the relationship between UK and Irish law in the fields of land law, banking regulation, language legislation and consumer law. The seminar was sponsored by publishers, Intersentia. Posted in Bristol ScholarsTagged British Association of Comparative Law, Comparative law, consumer protection, financial crisis, Irish, language, legal transplants, Paula Giliker, relationship between Irish and UK law, research nutshell, UKLeave a Comment on Comparing UK and Irish law: A special relationship?